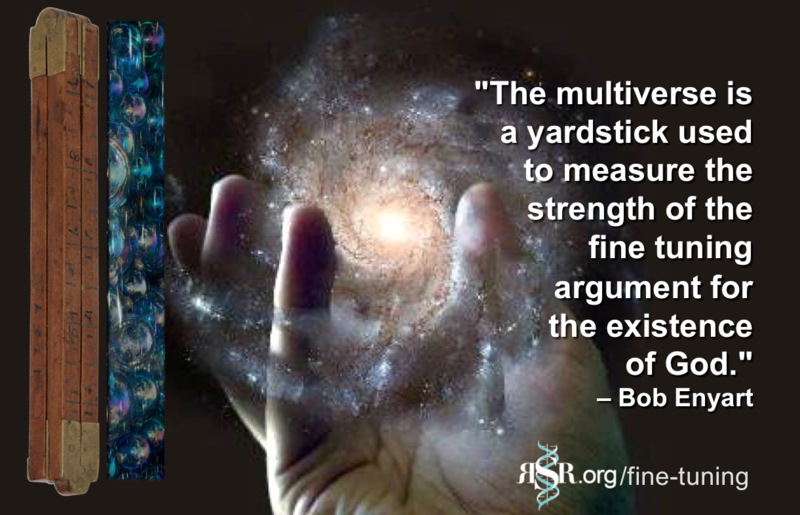 * Big Bang Irrationalities include the Anti-Science Multiverse: "The multiverse is a measurement tool," said Real Science Radio host Bob Enyart. "The multiverse is a yardstick that measures the strength of the fine tuning argument for God. It's acceptance measures the atheists' desperation." In today's program Enyart concludes his interview on the big problems with the big bang speaking with Spike Psarris, an engineer formerly with the U.S. Military Space Program and currently, the producer of a fabulous video series, What You Aren't Being Told About Astronomy. - March 7, 2015: RSR's Evidence Against the Big Bang Indianapolis seminar. Get a Real Astronomy Resource: Get the Spike Psarris DVD What You Aren't Being Told About Astronomy and Vol. II, Our Created Stars and Galaxies! These are hands down the best astronomy videos ever made! You'll agree, or your money back! Also, purchasing them from us here at RSR will help us keep our radio show on the air reaching more and more people! And have you browsed through our Science Department in our KGOV Store? (That's what we call it.) Check out especially Walt Brown’s In the Beginning and you also might enjoy Bob Enyart’s Age of the Earth Debate against a well-known geophysicist and a University of Colorado mathematician who are members of the Denver chapter of Reasons to Believe. And Bob strongly recommends that you subscribe to CMI’s tremendous Creation magazine! * RSR's Multiverse Article: See our article on the multiverse at Part 1 of today's program. * What is the Multiverse? In June of 2016, Fred Williams passed along a question from a listener to his Real Science Radio co-host Bob Enyart. A: "The multiverse is a yardstick used to measure the strength of the fine tuning argument for God." measures the desperation of atheists."